This week marks the sixtieth year since the kick off of the European Cup, the greatest prize in European club football. 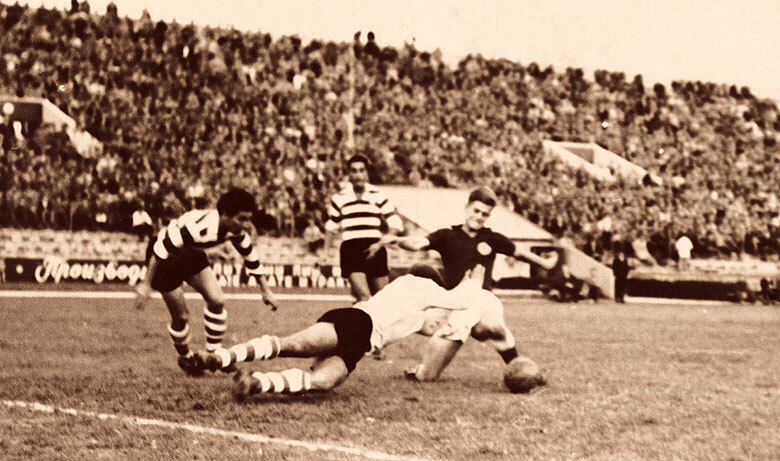 The competition, which was rebranded as the UEFA Champions League in 1992, started off on 4 September 1955, with a match between Portugal's Sporting CP and Yugoslavia's Partizan. The first goal in European Cup history was scored by João Baptista Martins of Sporting CP with the match eventually ending in a 3-3 draw. The competition came about thanks to the tireless work of Gabriel Hanot, editor of L'Équipe, who lobbied UEFA to create a continental club competition after reading reports from his journalists on the success of the Campeonato Sudamericano de Campeones in 1948 and also being irked by Wolverhampton manager Stan Cullis' claims that his side were "Champions of the World" after victories in several high profile friendlies. 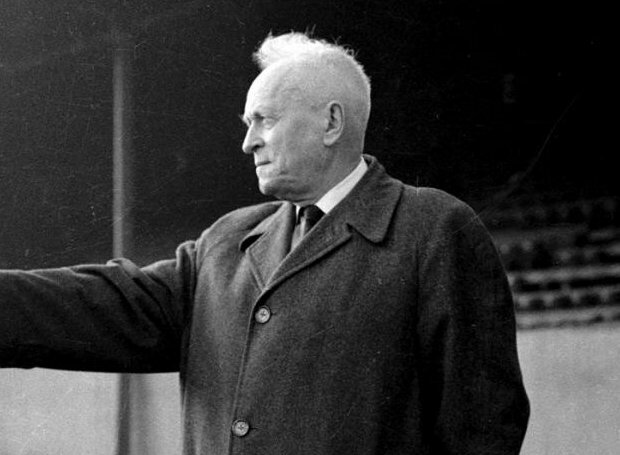 Eventually UEFA saw the potential in Hanot's proposal and in the fall of 1955 a club competition for European nations finally got off the ground. Sixteen teams participated in the first year of the European Cup: Milan (Italy), AGF Aarhus (Denmark), Anderlecht (Belgium), Djurgården (Sweden), Gwardia Warszawa (Poland), Hibernian (Scotland), Partizan (Yugoslavia), PSV Eindhoven (Netherlands), Rapid Wien (Austria), Real Madrid (Spain), Rot-Weiss Essen (West Germany), Saarbrücken (Saar), Servette (Switzerland), Sporting CP (Portugal), Stade de Reims (France), and Vörös Lobogó (Hungary). Notably the English champions, Chelsea, were dissuaded from entering the competition by the Football Association who saw the European Cup as an unwanted distraction from league football. 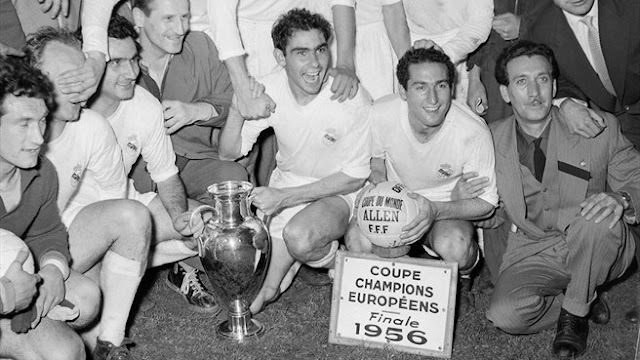 The 1955-1956 final would be contested in Paris between Stade de Reims and Real Madrid. Madrid, led by the magnificent Alfredo Di Stefano came from behind to win their first of five straight titles by a final score of 4-3.